Too many people feel unprepared for the world we live in today; they don’t feel as though they have the skills they need, they feel as though they have lost control of their life’s direction, and they feel as though they don’t fit in the workforce, assuming they can break into it at all. When people feel that way, dreams of making the best life possible become tarnished or even forgotten, and to us, that is a tragedy. There is a way to regain control, direction and your dreams though; it’s not money or luck, it’s education. 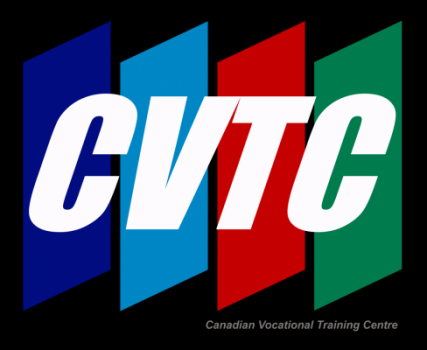 Here at Canadian Vocational Training Centre, we are passionate about the power of education to uplift people from where they are, to where they want to be. 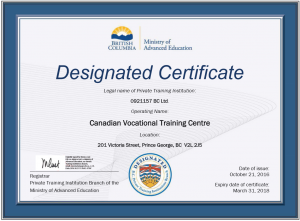 The Canadian Vocational Training Centre is a designated private training institution operating primarily in the province of British Columbia. We have been open since 2013 and we know that college isn’t for everyone, but education is! We also know that employers hire people, not certifications. Therefore, our focus is on training students in creating employer-employee fit by focusing on skills such as communication, teamwork, leadership and other skills which help an employee to fit into a company culture. We know what the employers want and need and we work closely with businesses and students alike to create the best and most up to date learning environment possible. We are proud of the fact that our students are comfortable, learn the skills they need and come out more confident and ready to tackle the workplace again. We are also proud to provide an environment where students always feel welcome to return when they need help and where we have instructors and staff who are passionate about what they do. Opportunities to gain certification in things like TDG, WHMIS, WorldHost, Microsoft Office Specialist, Forklift training, First Aid and many others offered through outside industry leaders and partners (dependent on program taken). Our success stories are varied and numerous; we take pride in how far our students can go when they set their minds to it. Want to learn more about what we offer? Check out our Programs and Contact Us today. 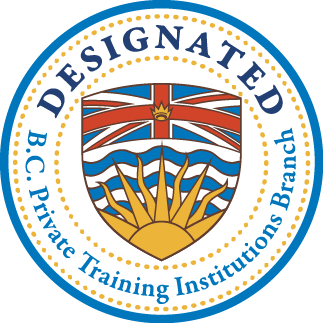 Educating individuals using up to date curriculum, Empowering them to take control of their lives and become Employed in a career of their choice.